Franklin first made waves when the title won the 2017 Queer Press Grant and raised almost $60k via Kickstarter and has gained traction in mainstream media for its progressive, LGBTQ-positive narrative. Support for the title has snowballed since, and its devoted fanbase has responded with massively escalating orders. Tee Franklin is a Black, Queer, disabled woman, known in the comics industry as a vocal person of color and advocate for the LGBTQ and disabled community. She is credited for starting the popular hashtag: #BlackComicsMonth, which aims to make comic book fans more aware of talented Black comic creators and their diverse comic book characters and superheroes that already exist in the industry. BINGO LOVE is a story about two Queer, Black women and the love between them that spans decades. It explores the complications of coming out at an older age and how that decision affects their families' lives. Hazel Johnson and Mari McCray are two young, Black girls who meet at church bingo in 1963 and eventually fall in love...but in this time period, their love was not accepted. Hazel and Mari are broken up by their families’ “shame” and go on to marry and have families of their own. Almost 50 years later—in the fever pitch of church bingo—Mari and Hazel are reunited and rediscover the love they have for each other, even though they both are still married. 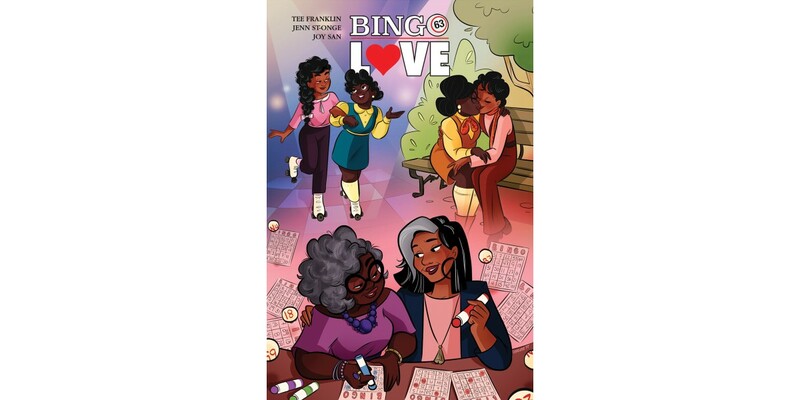 BINGO LOVE will remain available for purchase across all digital platforms, including the Image Comics website (imagecomics.com), the official Image Comics iOS app, Comixology’s website (comixology.com), iOS, Android, and Google Play. BINGO LOVE, 2nd printing (Diamond Code DEC170648, ISBN: 978-1-5343-0750-6) and will be available on Wednesday, March 14th.